The final stage of my all-too-brief visit to New Zealand’s wine country took me to Waipara – a region I’d been keen to visit after hearing a lot about it. It’s about half-way down south Island, and a short drive from Canterbury. 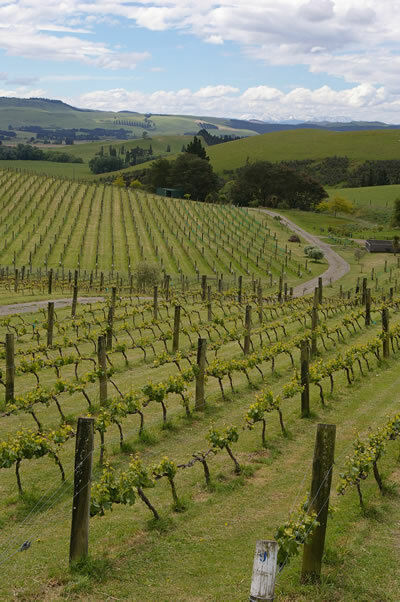 Waipara is a growing region, with a real momentum to it. 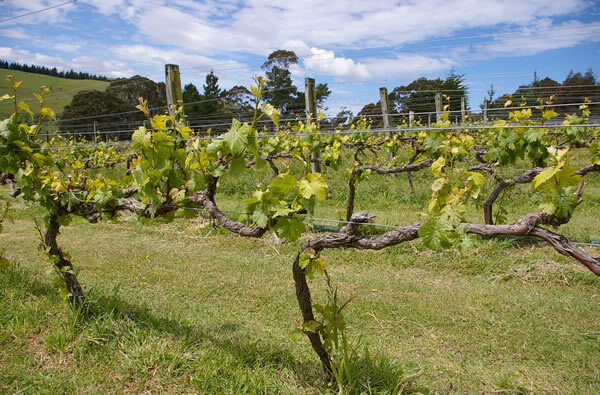 The vineyard area is growing, with big companies such as Montana, Nobilo and Villa Maria now involved here. My first visit (of just three – there was a lot more I’d have liked to have done here) was at Daniel Schuster. 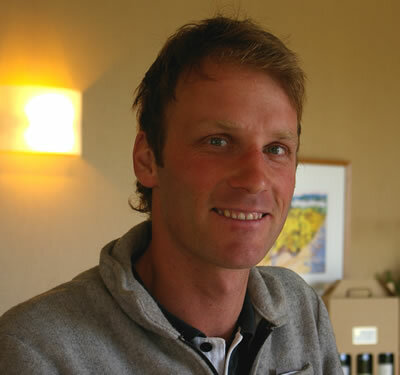 Daniel is well known as a wine consultant, and works at Ornellaia in Italy and Stag’s Leap in Napa, among others. He began working in the New Zealand wine industry in the 1970s, and founded his own project in 1986. Daniel was travelling when I visited, so I was received by his wife, Mari, and winemaker Nicholas Brown (below right). Nicholas has been working here since 2002, but has also worked in Italy and the USA during this spell. 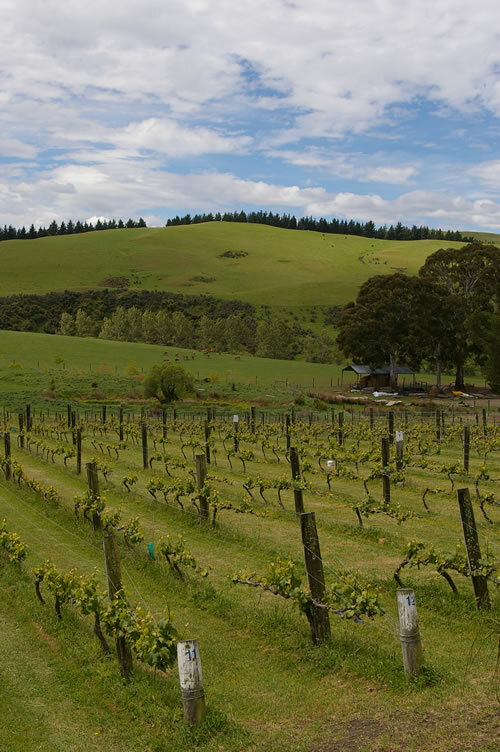 The approach at Schuster is quite different to that of the majority of New Zealand producers. The vines are unirrigated and spur pruned, planted at a very high density (6000 per hectare). Sustainable farming methods are employed, with the Schusters moving towards organics. Composting, with the biodynamic preparations, is practised. One of the hills is sandstone over clay, the other is clay over limestone: this is why Danny chose this particular site. In addition to their own vineyards, which total 6 hectares, the Schusters also buy Pinot Noir and Riesling from the Hull family, who have 10 hectares nearby. When the grapes arrive in the winery, they are left overnight to cool. Conveyers are used for sorting, and then the red grapes are destemmed and go to vat. Open top vats are used: the wood holds the heat generated by fermentation well. A four-day cold soak is followed by an indigenous fermentation, and then a basket press is used for pressing. The whites are pressed with a bag press. Riesling is whole-bunch pressed, and sometimes left on skins for a few hours. Fermentation is in stainless steel. 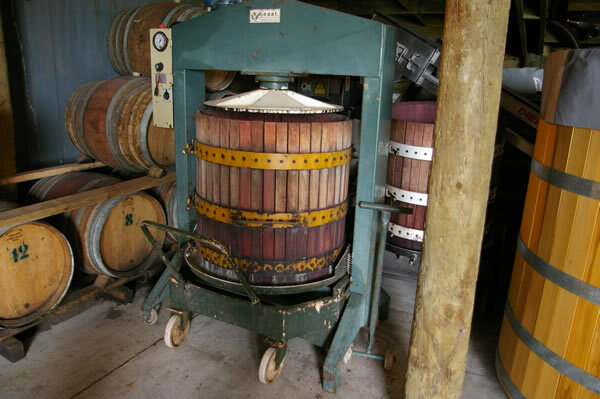 Chardonnay is whole-bunch pressed, the juice is settled, and then it goes to puncheons.